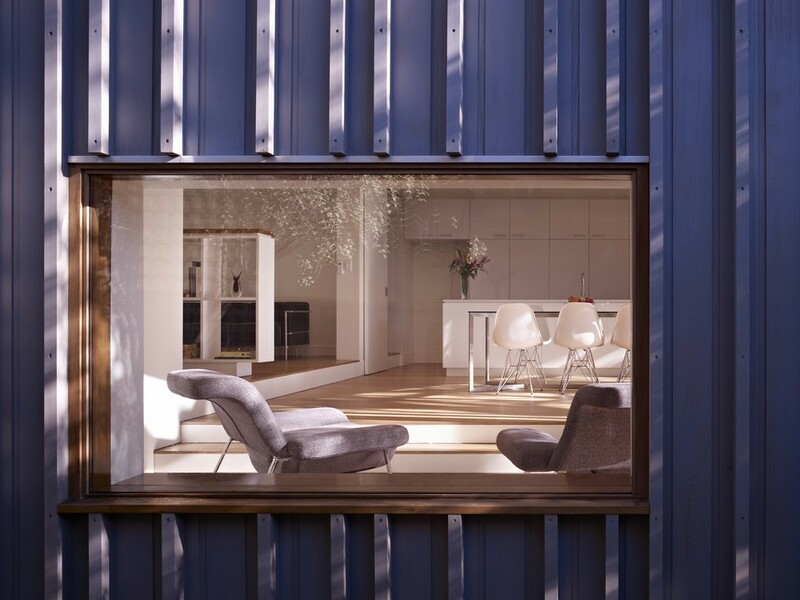 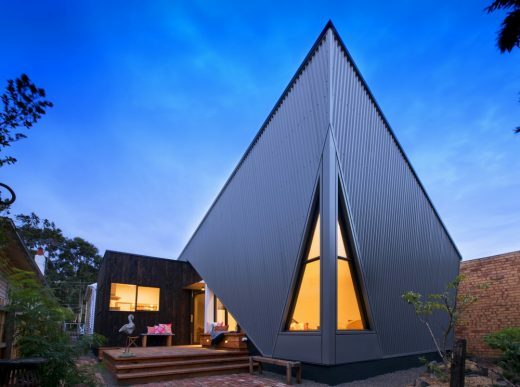 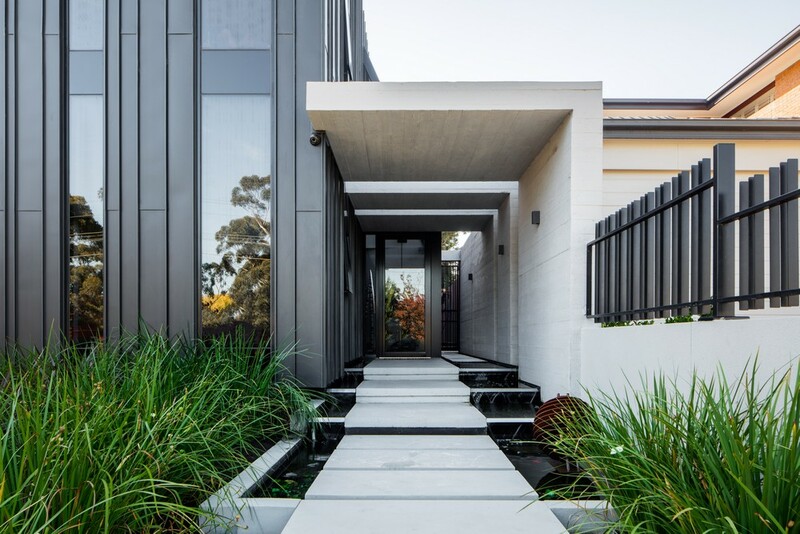 Plumbers house by Finnis Architects, is a bold and unashamedly modern statement on a suburban street in Strathmore, Melbourne. 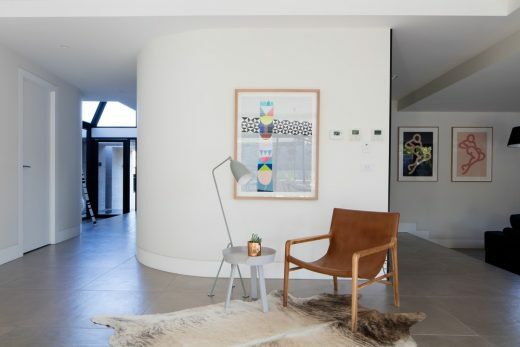 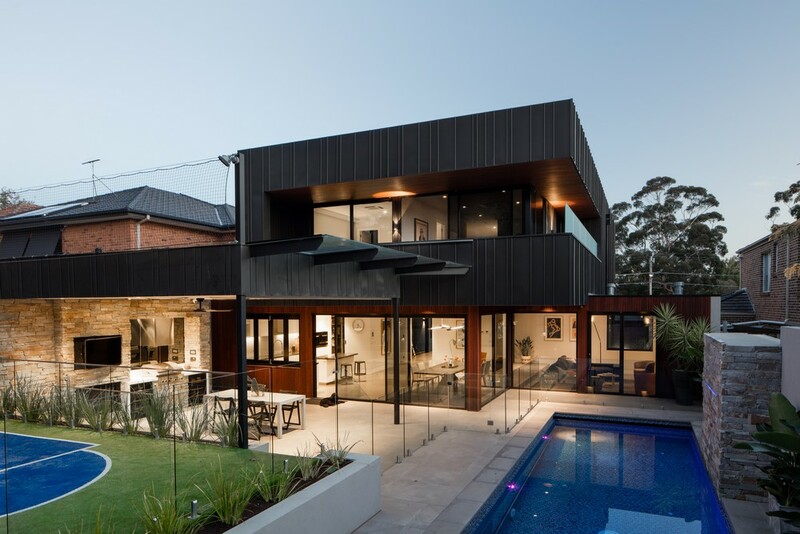 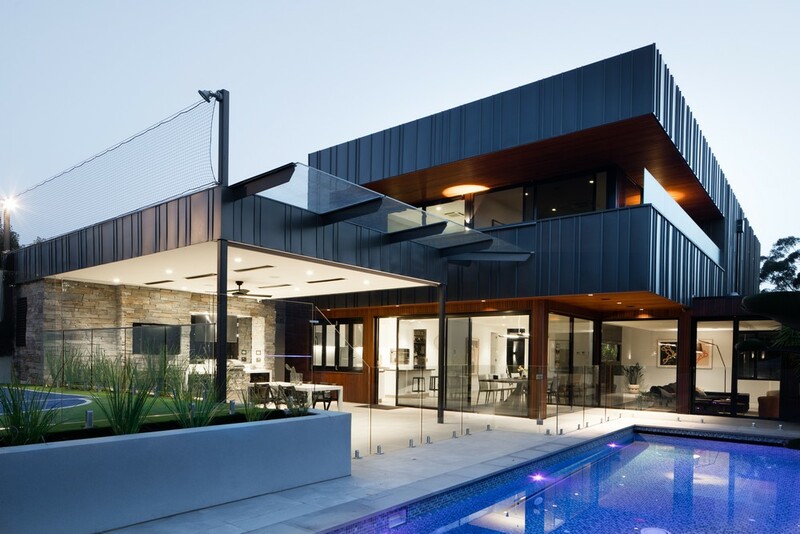 Located North of Melbourne’s CBD, the Plumbers house manages to capture the clients desire for a modern design, becoming a prominent statement to the streetscape in a growing area of Melbourne. 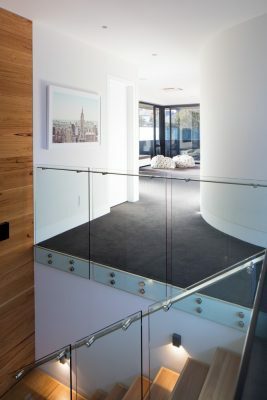 The attention to detail seen both internally and externally throughout the entirety of the building perhaps sets the tone for the future Architectural style of the area which encapsulates the essence of family living. 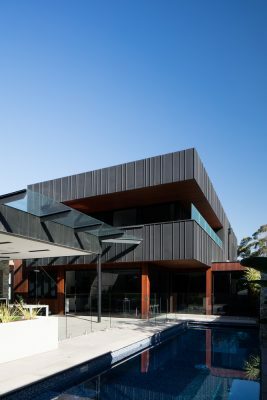 Its proudly austere frontage allows the quality of materials, workmanship and detailing to shine. The light concrete tones of the entrance contrast with the zinc cladding creating a clear articulation to the frontage. 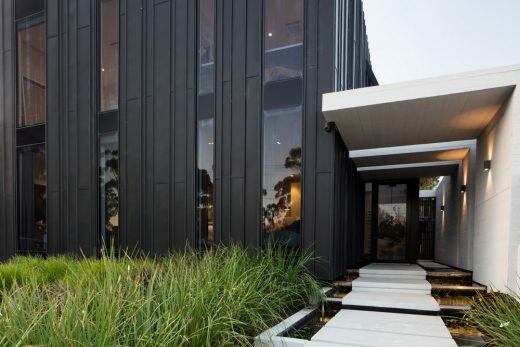 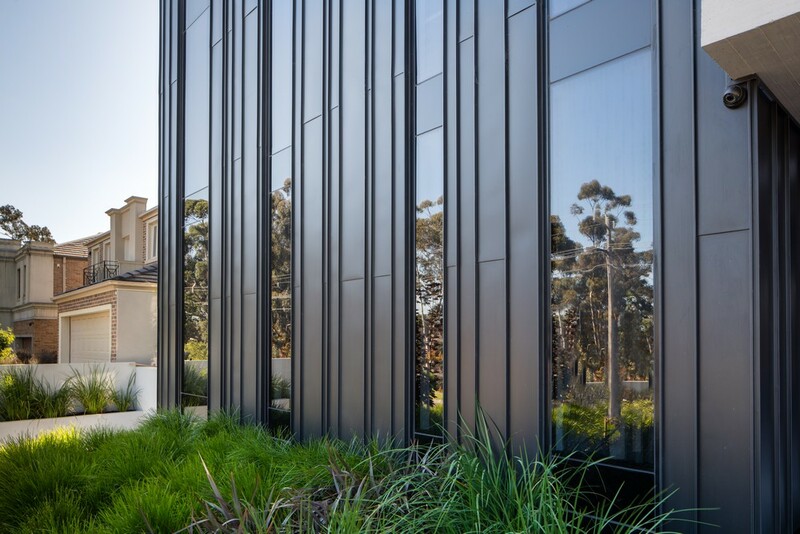 The material palette to the front is beautifully restrained yet not without intrigue; thanks to the natural patina of the zinc, coupled with the linear, yet arbitrary patterning of the cladding itself. 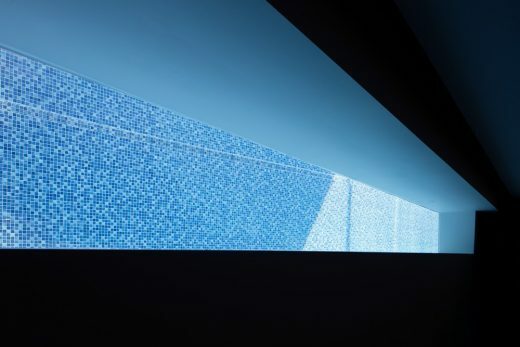 A strong brief driven by the owner’s occupation as a plumber was a key influence in the design as the theme of water provides an overwhelming sense of calm. 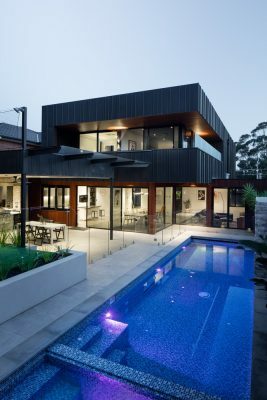 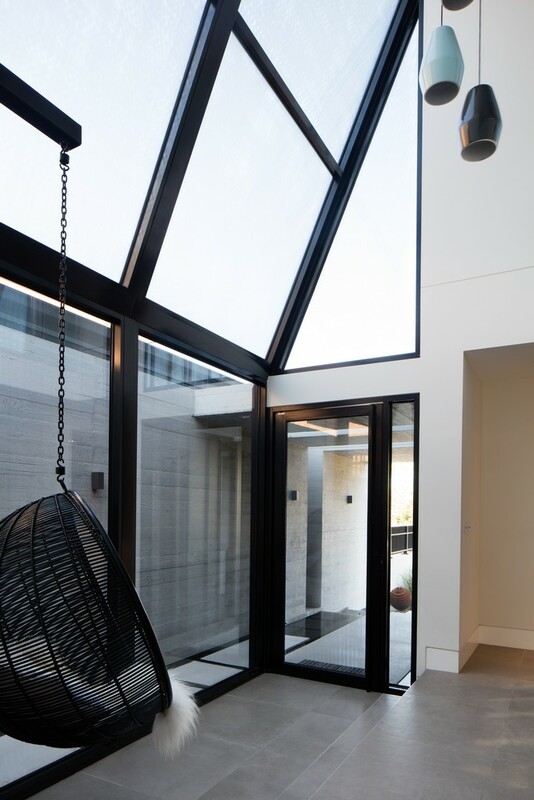 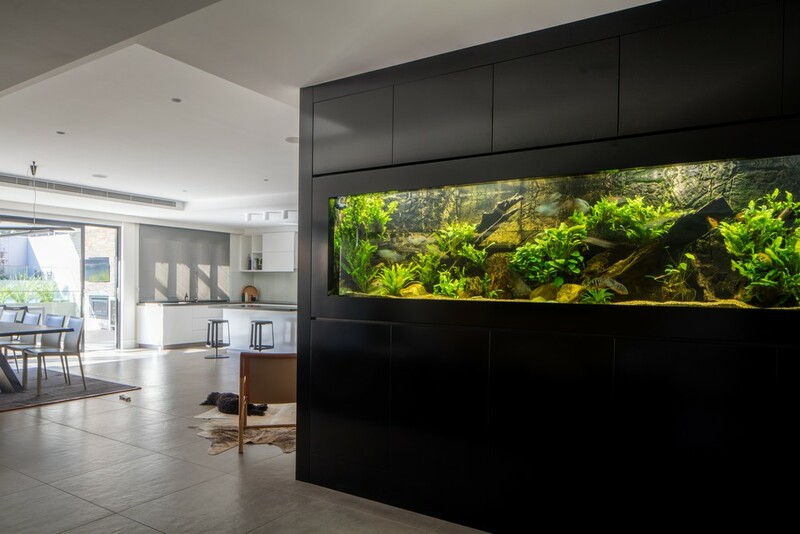 A cascading water feature lines the entrance as this tranquillity flows through the buildings in built aquarium and the large viewing window on one of the pool walls creates an atmospheric light for the basement. A generous atrium leads into a connected series of well-conceived spaces that are bathed in natural light; one of the prevailing features of this home. 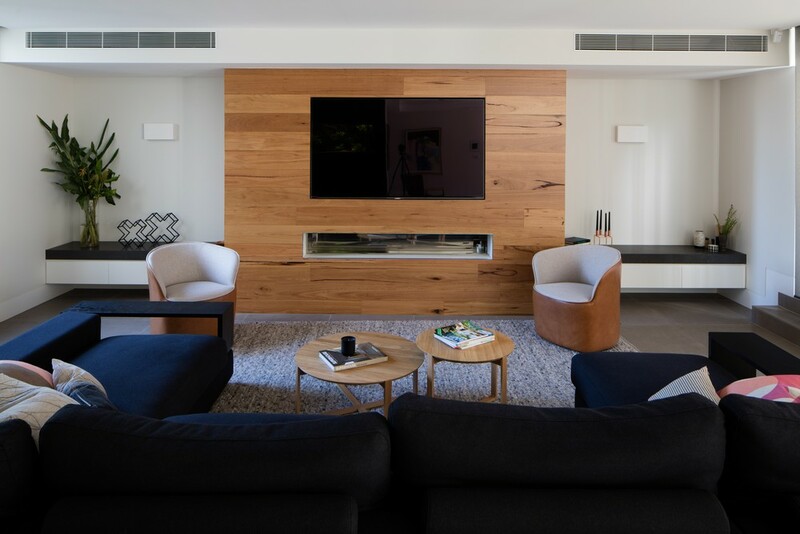 Varying ceiling heights provide a hierarchy and distinction between zones, without diminishing the generous open planned living area. 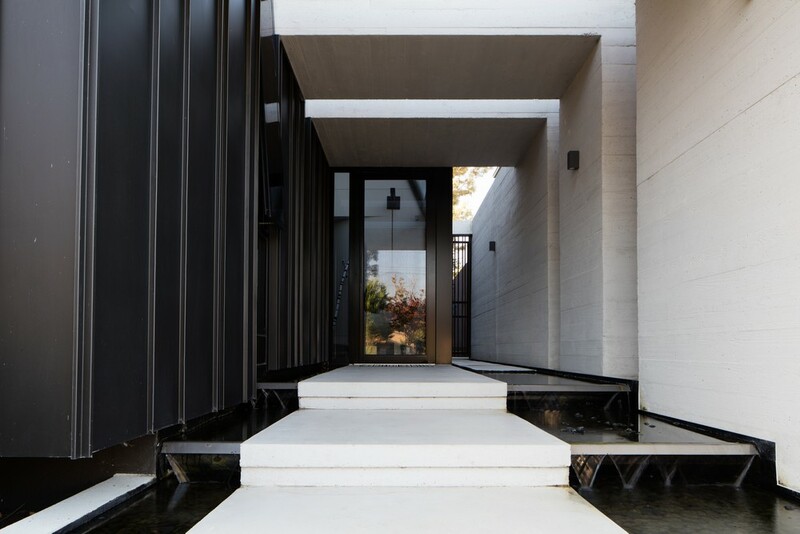 The playfulness of the rear elevation is a surprising contrast to the frontage; a deep overhang to the balcony provides a suitably comfortable position from which to overlook the multitude of activities in the garden. The natural and sustainable palette of zinc, timber and stone allows this home to sit proudly on its site. 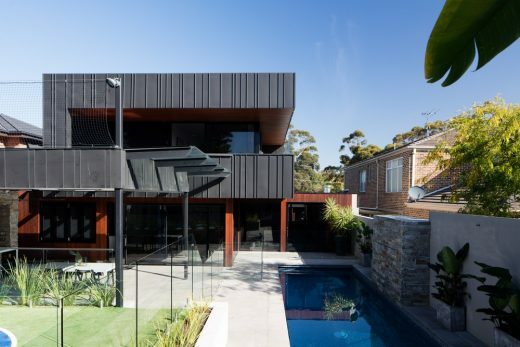 It is rich, both visually and texturally; understated, yet beautifully elegant. 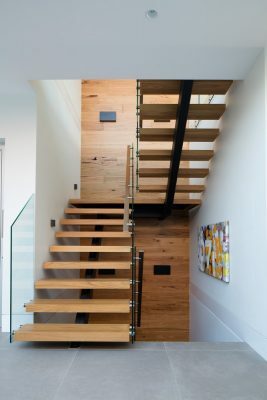 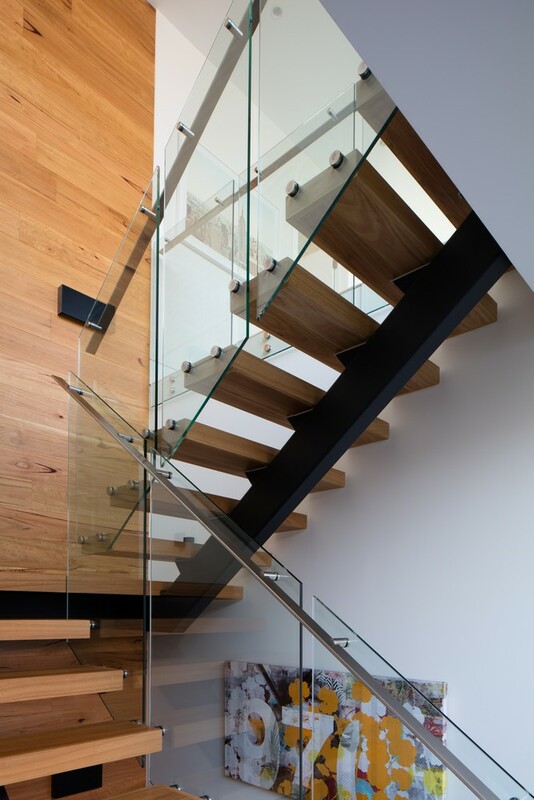 Most importantly the home encapsulates family living, providing inspiring spaces both internally and externally. 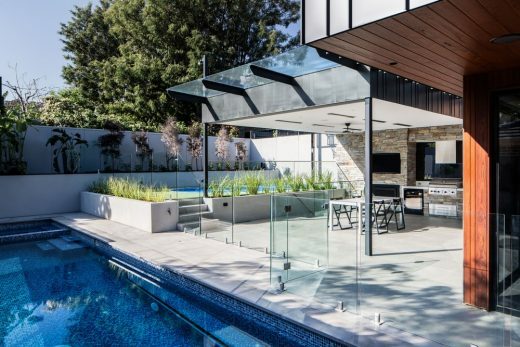 The floor to ceiling sliding doors and windows that access the alfresco area allow for seamless outdoor/ indoor living creating the ultimate entertainment area under the rear cantilevered overhangs. A sporting zone ensures the kids are kept entertained in the backyard while the private courtyard aids in providing a moment of peace.